A very famous stop along the Lincolnwood way! 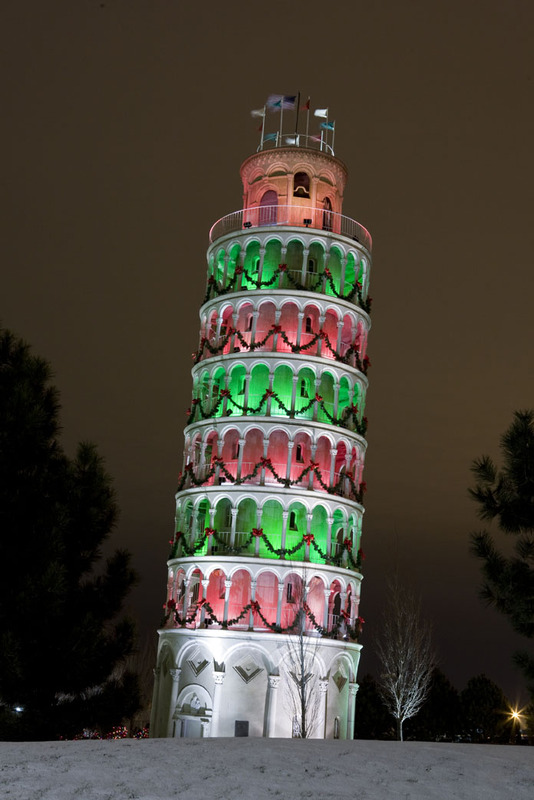 The THREE-STORY CHRISTMAS TREE! Did I mention you should click on these photos to make them bigger? Because you should. It’s so fantastic. I don’t even know how to explain it. 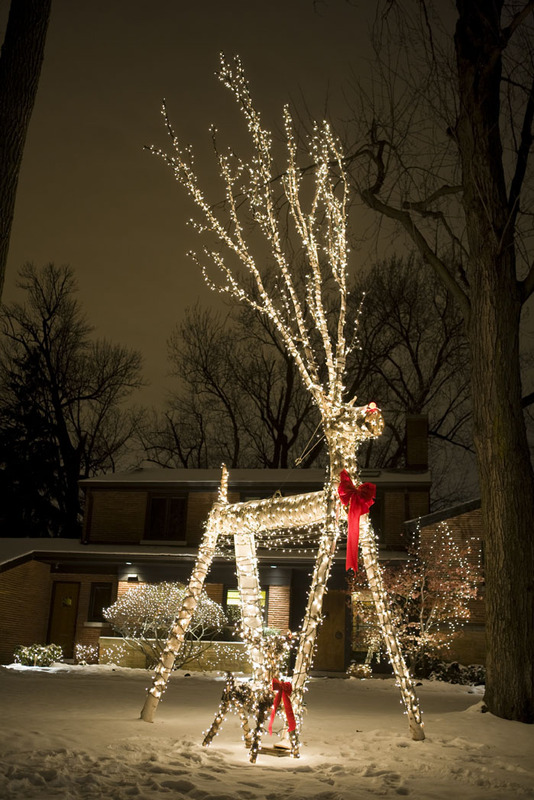 Located nearby is this GIANT Reindeer and a wee baby reindeer wrapped in lights. That big boy is bigger than the house behind it. Awesome. 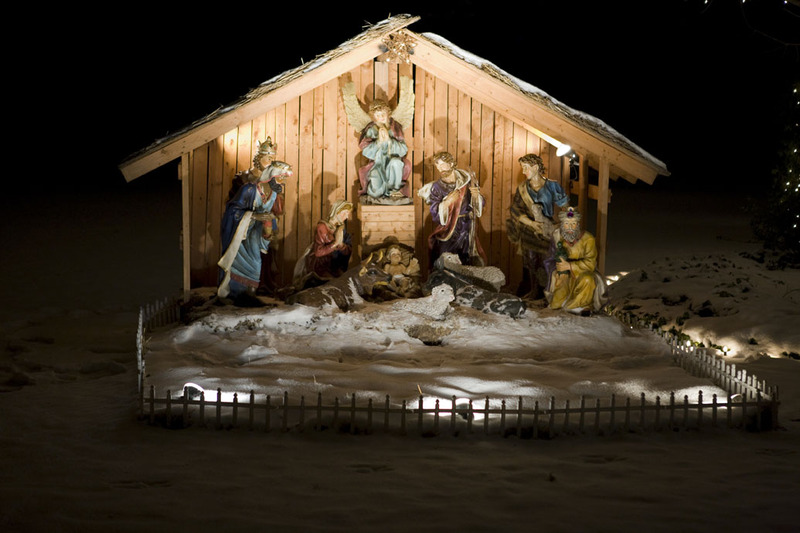 A lovely and elaborate nativity–we featured this one in 3D previously. 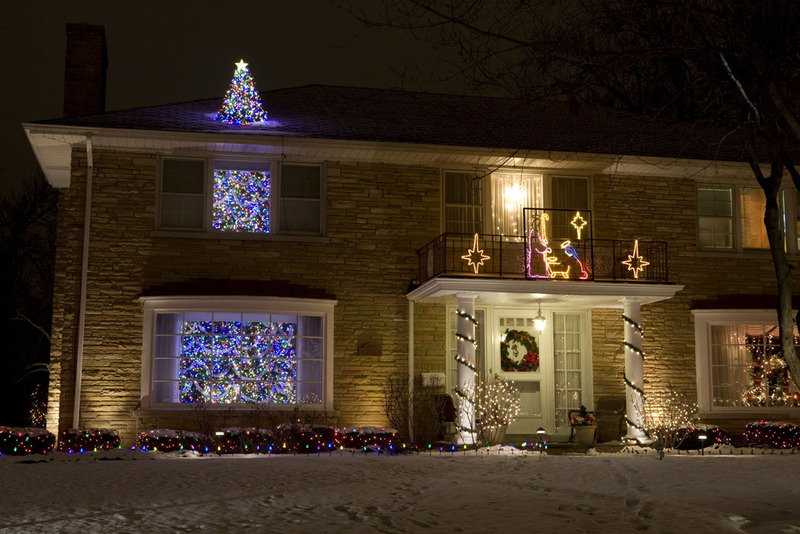 And finally, this is just adorable! 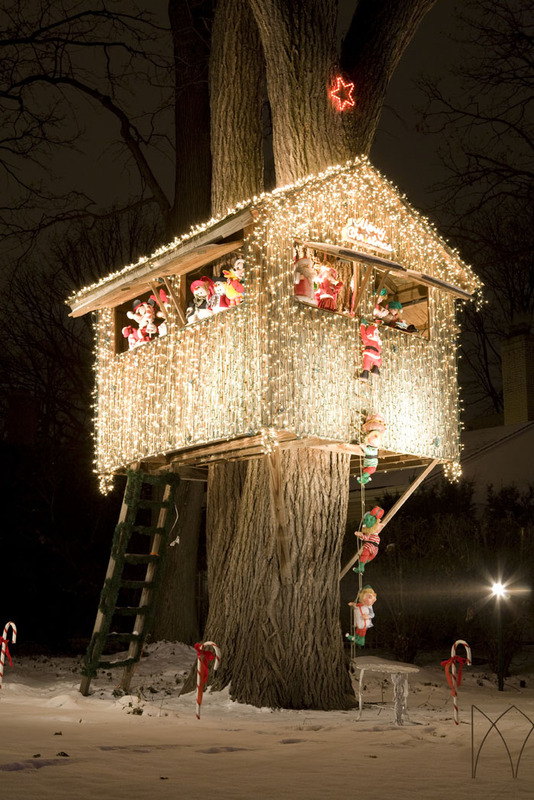 It’s a giant tree house that seems to be helping Santa by employng some busy little elves. There are little creatures all along the windows and climbing up the rope ladder. And the gentleman that owned the house came outside to drop off his garbage and chatted Dale up for a few minutes. Nice folks!